Palestinians use burning kites to cripple Israel’s economy. Israeli farmers have been offered cash incentives by the Agriculture and Finance ministries to harvest their fields sooner in light of growing agricultural terrorism, according to reports from May 22. On Monday, drone footage was released showing hundreds of acres burned by Gazan kites. Adding to the apparent danger, there is no telling where these inferno kites will land. Although no human lives have been lost by the flames, an estimated hundreds of thousands of shekels’ worth of land have been burned. 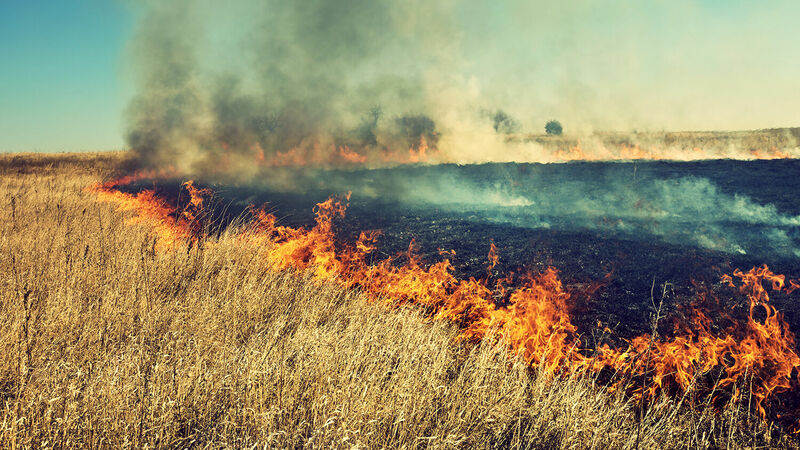 The Jerusalem Post reported hundreds of hectares of crops have been torched in just a few weeks, consuming crops that could have provided a living for many farmers and their families. To help combat this peculiar terrorism, the Israeli government has promised up to 2 million NIS (over us$500,000) to farmers to harvest their crops before July (the usual harvest time), in hopes of limiting the amount of scorched produce. The Israeli military has also stepped in to help counter Hamas’s pyromaniac behavior. On May 6, an Israeli military aircraft struck a Hamas site with drones in response to the burning kites. The day before, fields in Kibbutz Afikim were set on fire, incinerating hundreds of bales of hay that were ready for transport. Farmers and Israeli citizens are calling for action. The head council where the kibbutz is located said, “This is the ugly face of agricultural terrorism. A field of wheat that someone had put a lot of work into growing, harvesting and gathering was vandalized with fire within seconds. The agriculture minister and the public security minister must start showing results to their actions. The endless talk we’ve been hearing is just not cutting it.” They claim that until this threat is faced with stronger opposition, these crop casualties will go unreported. The real wound is spiritual—a lack of faith in God. The Jews keep trying to heal themselves by making peace pacts. They were strong when they trusted God. Even recent history proves that truth. Just a few years ago they were a terror to the Arabs. Now the Arabs are a terror to the Jews. A complete reversal in such a short time! Why? The Israelis will finally see that their peace pact with the Palestinians has failed. The Jews really only see the effect of their wound. They don’t see the cause. That is why they turn to Germany for another peace pact! This time they place their trust in an even greater enemy! Once again they fail to trust God. It will lead to the worst disaster in the Jews’ long history of suffering. God chose Jerusalem from the very beginning. God founded this city in peace. It was founded to be a city of peace forever! You can be sure God will complete His plan. If you understand God’s goal, you know that the meaning of the city’s name contains a prophecy of its magnificent future! Despite Jerusalem’s bloody history and present situation, there is hope for this city. God will use this city in the future to set up His headquarters government and rule the entire universe in peace. Please request our free booklet Jerusalem in Prophecy to learn more about Jerusalem’s future, when peace will flow out from that city to the entire world.